It's times for another Indie InLinkz post. Indie Inlinkz is a group of bloggers who do monthly posts that feature indie polishes. This month's theme was our favorite fall color. I didn't even need to think about this one at all. I knew exactly what fall nail polish was going to grab. One of the colors I feel like gets really neglected in nail polish especially when it comes to the fall season is pink. Let's face it, pink is hard to make unique or special these days. I love pink though, and what I love even more is a innovative pink. Pinks with pizzazz that fit the fall/winter seasons are some of my favorites. When I spotted this Sindie POP! polish back in 2012 I knew my pink fall polish prayers had been answered. This polish became my favorite fall polish ever, and it still holds that title! 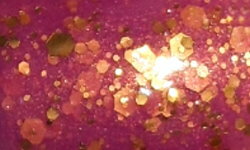 Golden Raspberries is a dusty rose-mauve packed with golden glitters and shimmer. Color: Now this is a fall pink! You take a pink you make it dusty and you add golden glitter and shimmer. This is a beautifully unique color. I absolutely adore it and I think I may even love it more now than when it first came out. I still haven't seen anything like this color or even close to it. This color combination is elegant, rich, and perfect for fall. Formula: This has a great formula. The glitters apply easily to the nail. I used 3 coats. Price: You can purchase this from the Sindie POP! website for $10. Overall: This is an all-star polish for me. I absolutely love everything about it. 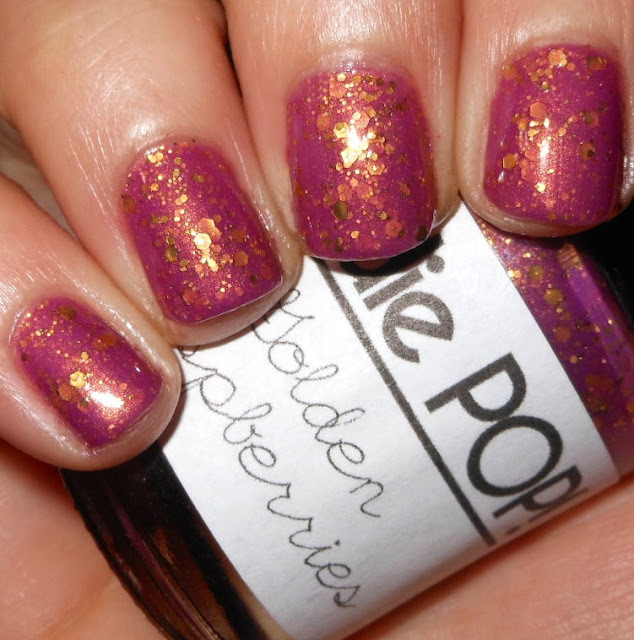 There have been 3 years of fall indie polish releases between the release of Golden Raspberries and now. Golden Raspberries beats out anything in the past 3 years and is my definite fall indie favorite! Check out my fellow Indie Inlinkz friends favorite fall indies below!